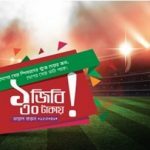 Robi 500MB Internet 30Tk Offer! 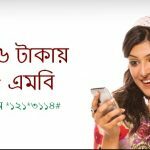 Robi all prepaid and postpaid customers is eligible Robi 500MB Internet 30Tk Offer. This is very big and special internet offer for all customers. Today I will share for all Robi users How to active Robi 500MB 30Tk Offer. The customers who are searching Robi Internet Package. No tension, Just read this full article and achieve a clear concept. To active this offer, customers need to dial USSD Code *123*3*2*1#. To check your internet balance, dial USSD Code *8444*88# or *123*3*5#. Customers will applicable 15% VAT,5%SD & 1% SC. After expiring this internet package, data volume from other individual data packs (if any) or BDT 0.02/10KB will be applicable. 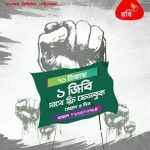 We hope all customers can get to about Robi 500MB Internet 30Tk Offer. If you want to know about Robi All Offer, just stay with us and follow our site. Have you any problem about this offer, just comments the box. We will answer as soon as possible. Thanks all customers for waste your valuable time with us.